TeenyTinyTarot.Com is dedicated to giving broader exposure to the living currents of traditional wisdom found in Meditations on the Tarot: A Journey into Christian Hermeticism. If you would like to enrich your personal meditations and help share the path of Christian Hermeticism with other Unknown Friends, please consider purchasing one or more sets of our (very inexpensive) “Marseille style” Tarot Trumps. These Teeny Tiny Tarot © Trumps are based on the “Major Arcana” from an antique Tarot of Marseilles which is reminiscent of the Nicholas Conver era of 18th century France. Whatever these (copyright) representations lack in modern graphical and technical precision is more than made up for by their grand, traditional style and their esoteric authenticity. 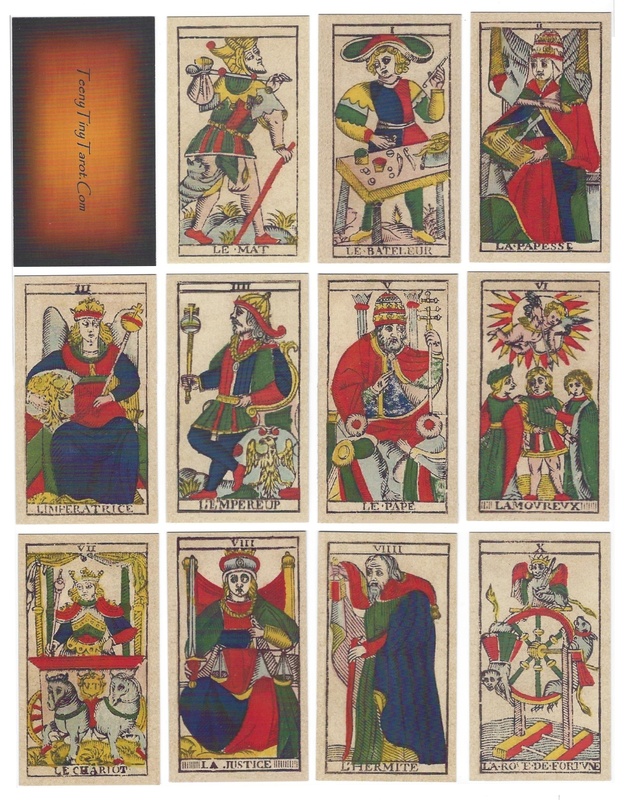 Excellent for any application in which size is not of the essence (2 x 3.5 inches), this miniature set of 22 Tarot Trumps is especially designed with Valentin Tomberg’s “Christian Hermeticism” in mind. Deep discounts are available to study groups or college instructors buying in quantity.